Free Consultation and Full Diagnostics for Dental Implant Procedures! At Dental Art Implant Clinics, we now offer full diagnostics - not just the consultation - for dental implant treatment free of charge! In many cases, only after a panoramic x-ray and/or CT scan is taken, can a implant dentist ensure they have assessed your oral health fully and are providing you with a final, detailed and tailored treatment plan for your specific case. We are delighted to offer these examinations, that can be quite expensive at other locations, free of charge. 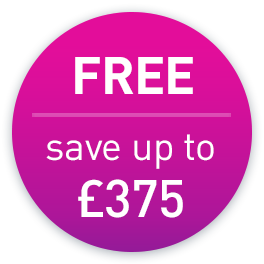 This results in a total saving of up to £375! Furthermore, you can be sure that our expert implant dentist are providing you with the full picture - a full diagnosis and treatment plan - before you pay anything or commit to starting your treatment with us. There is no obligation to proceed with treatment! Everyone's situation is unique, and that means that everyone requires a unique solution. Schedule a free, no-obligation consultation today, and we will create a treatment plan customised for your needs. It's an excellent opportunity for you to visit one of our clinics, meet our dental team and discuss your treatment options.